This is a tricky question as there wasn’t any particular thought behind the process other than we suddenly thought that it might be a good idea. We were on WoW at the time bickering about something we were doing when I realised that people would probably find this funny and/or interesting. Women are also massively under-represented in WoW so it’s nice to be able to write from a female perspective, but also be able to bounce off Mr B. Playing together as a couple also poses its own challenges, which we thought might be good to write about. I’d like to say there was more to it than a spontaneous idea, but there isn’t – sorry! A Marriage Made in Warcraft? Mrs B and Mr B. Playing together as a married couple is definitely not without its ups and downs. Our current set up is Mr B on the TV screen and Mrs B on the sofa on her laptop – not ideal, but until we can afford dual screen awesomeness, it’ll have to do. Definitely having a seasoned professional sitting 5 feet from you and refusing to help… how rediculous!! Constantly wanting help on every little thing. Then moaning when I don’t know the answer. Getting ganked and my Knight in Shining Armour not coming to rescue me. What’s all that about? He spends gold, I save it. He ‘borrows’ it for gear and I never see it again. Pffft. She sits on old mats worth 100’s thousand of gold she might need some time then never actually uses them… then goes on to complain that all her toons bags and banks are full. Linked accounts. Gah. We originally did it so I could have my character transferred across but I work so hard for my achievements – like Loremaster – then he gets the credit too *sulks* Blah blah! Asuming I know what he’s talking about when he says stuff with lots of acronyms. Telling me how to run the guild even though I’m the GM. They’re helpful suggestions. Honest! Him calling me by my WoW name IRL… I AM NOT A GNOME! Yes, she is. I kind of now understand his, well, our hobby. It’s nice to share something together as well as being with friends (even if it’s not IRL!). We have a lovely 2 healer / tank and healer / tank and DPS set up going on, so if we decide to 2 man instances or raids, or grind dungeons for gear, we can and secretly laugh at the idiots in dungeon finder. Always having somebody to talk to and group with while playing. Having lots of characters to use for professions and gathering… helps with all kinds of things. Having someone to level all of my profession and gather mats for achievements. Minimal effort, maximum output. 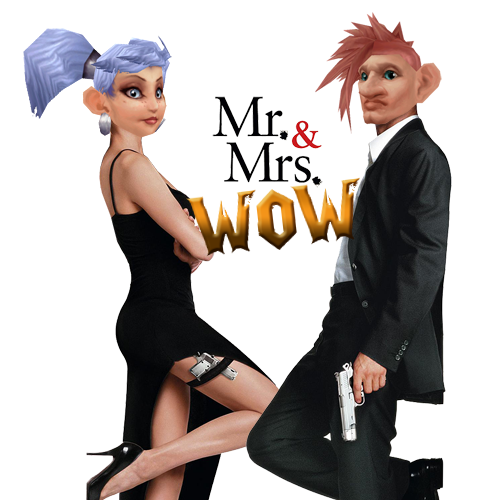 Overall, I think – like any couple – it’s nice to have a hobby to share and we have lots of fun playing WoW together. However, moderation is definitely the key! Mr B here! 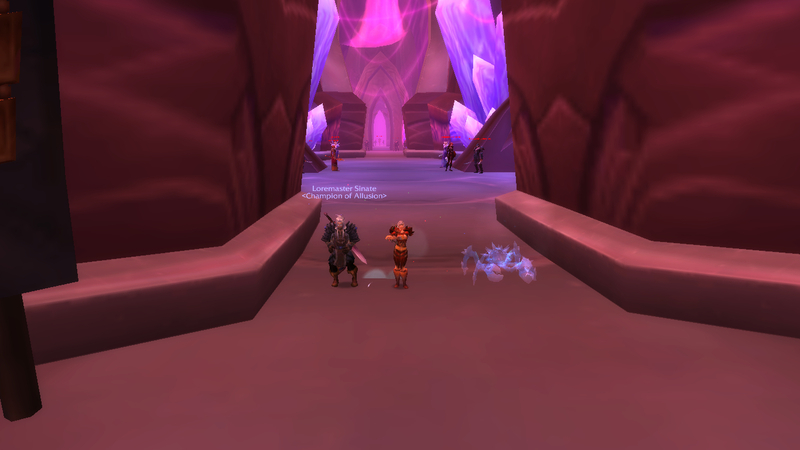 Last night we decided to have some fun as a guild and went to ICC to complete as many 10 man achievements as we could. After blowing through all the bosses gathering the achievements easily (we are 90’s so we did cheat i suppose), we came to The Lich King Arthas and proceded to try the achievement http://www.wowhead.com/achievement=4601/been-waiting-a-long-time-for-this-10-player . I stood on the boss with the adds. The rest of the group stood in the middle stacked up. When somebody got necrotic plague they would run out of the group so it wouldn’t spread. After i had about 20 adds on me we had the next person with necrotic plague come to me so it would spread to the mobs and everytime it ran out or the mob died it would carry on spreading adding a stack each time..
Then we just kept me healed while waiting for the necrotic plague to stack up to 30 while anybody who got necrotic plague ran out of the group again. After it got to 30 we killed the mobs and then dps’ed the boss as normal. We eventually managed to stack necrotic plague to 30 stacks (as per the achievement) only for it to jump to me and hit me for 2,000,000 damage. Ouch. This happened again when it jumped to me instead of the dps group stacking a way away. This time we did manage to push the King in to phase 2 before we wiped. We were just about to give up for the night when we actually managed to do it – not without a few hiccups though. Necrotic plague didnt jump to me just once this time, but three times. The first two times I managed to mitagate the damage (was quick to shout out to Mrs B so she could spam heal). The time none of my cooldowns were up and it hit me for 2million and i promptly died. Luckily the other deathknight combat ressed me and I managed to pick up the Lich King before he wiped out the raid. We then managed to push it to phase 3 only for Mrs B to be carried and dropped off the edge by a mob. So with no healer, me, a hunter and a mage managed to dps him down quickly enough that we managed to miss a whole phase and score the kill – triggering loads of achievement spam in guild chat. In the end, after 3hours and lots of fun, we managed to walk away with our new Bloodbathed Frostbrood Vanquisher mount for me and Mrs B (pic below). We do want to go back and do it on heroic next week to finish it off for those of the group who joined later so they can have thier mounts. Bring it on…! As you have seen in our ‘About Us’ page, we are a married couple who share a mutual interest in World of Warcraft. Well, if ‘mutual’ translates to bickering over who gets to play on the better PC screen, that’s about right. Although we’ve been playing on the same server for a while, we haven’t really done anything together. Perhaps that’s because of Mrs B’s love (and Mr B’s indifference!) of achievements – but recently this has changed. Along with a few of our online friends, we run our guild <Allusion>. Initially set up to raid, we have recently decided it’s just too much hassle to organise, so instead we do the old raids, achievement runs and generally, have a laugh. It seems cliché, but we are pleased we have a small, friendly guild instead of a big, impersonal one. We just reached 25, so hopefully now we can pull in some new people ready for challenge modes, which we really want to start. We don’t kid ourselves – we’ll never be great, but let’s have some fun with our WoW mates, right? 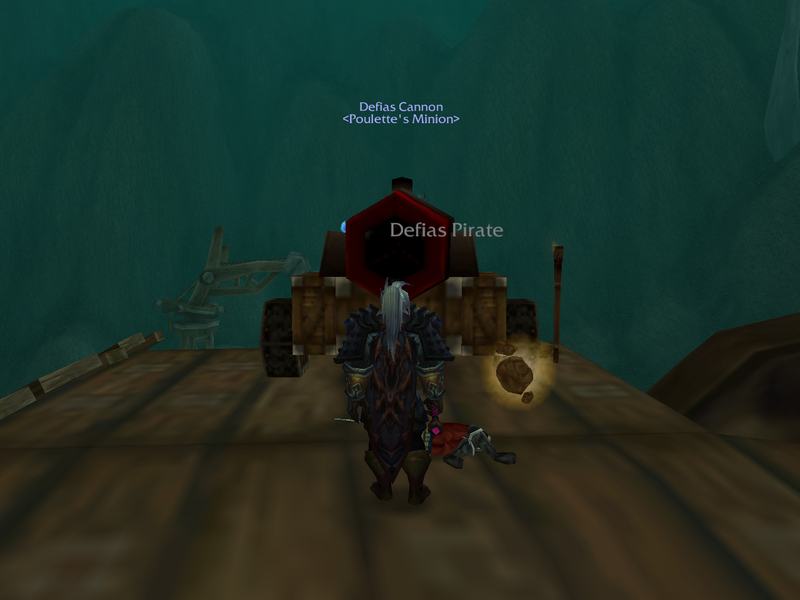 This blog, we hope, will be a fun – non-elitist – look at WoW and our adventures. Don’t expect revalations or in-depth thinking, but do expect an honest view!